When a magazine like Marie Claire calls your product one of the top 25 new beauty products that will change your life, we have to wonder what makes it so great. Does Dr. Gross Trifix Acne Clearing Lotion actually live up to the hype? Before we can make that determination, we need to look at the ingredients and dosages. Dr. Gross may not be a household name like the famous Dr. Phil, but the dermatologist has a variety of skin care products that are renowned for results and quality. The Trifix Acne Clearing Lotion is a treatment for mild to moderate acne that should be used twice a day to clear your complexion. 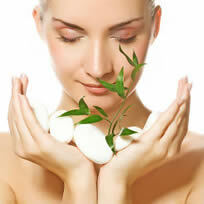 The lotion should melt into your skin to deliver nutrients and acne-fighting agents for healthier looking skin. But what gives the lotion its reputation? The term TriFix emphasizes the importance of the triple combination of colloidal sulfur, benzoyl peroxide and salicylic acid. 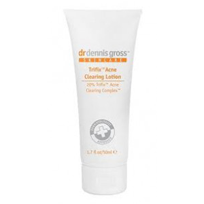 This triple threat against acne is all-natural and penetrates the pores to keep the skin clear. Each ingredient is responsible for killing bacteria, controlling inflammation and absorbing excess oil. A mega bonus for using the lotion is the addition of retinol to help support firm and strong skin. However, the main focus of the Trifix Acne Clearing Lotion is to clear the complexion.Just because Marie Claire loves your product doesn’t make it golden. The lotion still uses commonly used ingredients that come with a set of side effects. 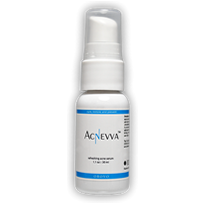 The use of benzoyl peroxide can cause redness or dryness while salicylic acid irritates the skin. These minor side effects may not be giant red flags, but there are alternative ingredients like green tea that are effective and safer.Despite any potential side effects, the lotion is still a good treatment for acne. The formula isn’t exactly advanced or innovative, but the ingredients have long been known to be effective. 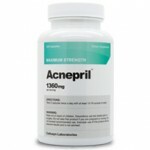 The product may not change your life like Marie Claire suggests, but it will help you control your acne.